This is a light hearted read of a ghost story. The characters are a lot of fun and their relationships grow during the book. It's part a romance, part a ghost story, part the story of a group of characters pulled together by circumstance. Which character – as performed by Amanda Ronconi – was your favourite? Dotty was my favourite character. I saw a review that said they didn't like Amanda's style but I enjoyed it's light character that contrasted well especially when the ghostly happenings start. 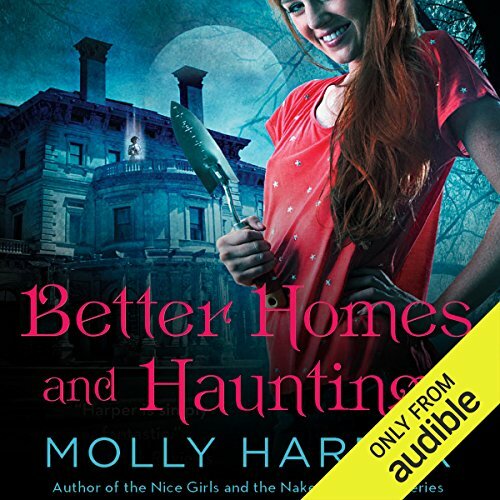 Would you consider the audio edition of Better Homes and Hauntings to be better than the print version? Yes cause I have dyslexia and it better for me to have it read to me so I don't stuck and I enjoy it being read to me . What other book might you compare Better Homes and Hauntings to, and why? Tall dark,and dead but not as good as this one but good to . Yes in Tate hallway books that why I like them to she good narrater . Yes did it in one day . Love all Molly harper book and love Amanda ronconi's reading them so worth buying. What made the experience of listening to Better Homes and Hauntings the most enjoyable? 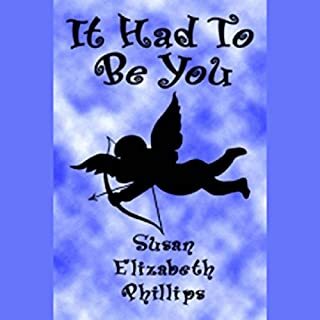 Light and enjoyable story in the Molly Harper style - I liked the characters and the strong but serene story line. If you look for aggression and stress this is not the book for you but its a good story well performed. 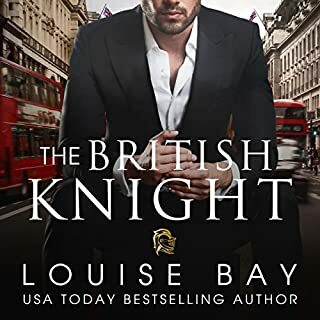 I Ioved the way all the story lines come together and I will read it again - it's the sort of book I can have playing when we travel to Scotland later this year, an 8 hour trip, when my husband can listen as well. I loved this, it kept me on the edge of my seat but made me laugh too. I enjoyed listening to this one. Amanda Ronconi voices the book with her usual skill. The story I didn't care for quite so much. 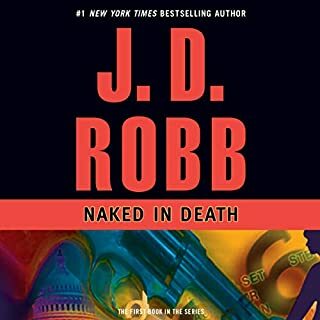 This isn't meant to be another Half-moon Hollow book and is clearly set in a different universe, but there was a more serious atmosphere to this one. There's more humour to the Half-moon Hollow books which I missed here. The actual supernatural mystery story in the heart of this book is fairly good, though if anyone reads this expecting a different ending from what we get, I'll be massively surprised. this is a good light hearted entertaining listen. just the thing if you want to relax and drift. What would have made Better Homes and Hauntings better? Better editing, especially in the first few chapters. Has Better Homes and Hauntings put you off other books in this genre? The writing was all over the place. 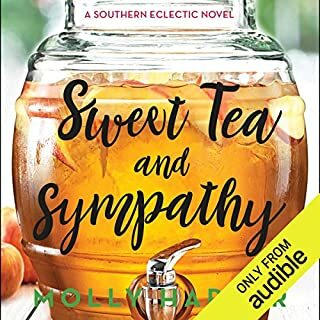 Unusually for Molly Harper her Characters were poorly written and her interactions between them were so badly written I struggled to keep going. I have to admit I gave up and couldn't finish the book. I suppose every author has to write one book you don't like, for Molly Harper this is is mine. Molly Harper's novels are usually funny, sometimes predictable, but usually not boring. This was not the case for the present book that is a far cry from the Jane Jamieson's series from the same author. Recommended for insomniacs. With reservations. I really enjoyed Molly Harper's other stories, which were all first-person ones. This one, a third-person story with multiple major characters, didn't have the same flow as there needed to be narrative backstory for each. It was exactly what I'd expected it to be by the time I got to about 35% of the way through the story, in other words far too predictable. Wonderful book. Funny and spooky. Molly always makes me laugh. And Amanda's voice made for easy listening. Another great story from Molly Harper written in her usual funny, quirky supremely enjoyable style. I've never read/listened to a book from Molly Harper that I haven't wanted to start all over again when it's done. They just make you feel good and this one is no exception, plus it's wonderfully performed by Amanda Ronconi. If I'm being really honest, I buy these books as much for Molly's stories as for Amanda's wonderful style of reading and bringing the story to life. I personally love the story-line when i first read it before deciding to purchase it. After debating for a few days and reading through all the reviews and listen to audio sample, i decided that it wasn't bad. Then once i start listening to the story I couldn't stop listening to it!! It was that good for me. So glad I bought it and I would love to have more of these kind of story mix with innocent romance (so adorable).